GatedTalent is a wholly owned subsidiary of Dillistone Group Plc, a public company trading on the AIM market of the London Stock Exchange. Dillistone Group Plc is the largest publicly-traded software and technology supplier to the recruitment sector in the world. The Group has been operating for more than 30 years and works with over 1,600 firms across more than 70 countries. Many of these firms are retainer-based executive search firms – including many AESC (Association of Executive Search Firms) members. Other clients include in-house recruiting teams at global corporations (including members of both the Fortune 100 and FTSE 100), along with Private Equity and Not-For-Profit organizations. Through our Dillistone Systems subsidiary, we are the host of the World Executive Search Congress, which takes place annually and has been held in the US, UK, Germany and Hong Kong. 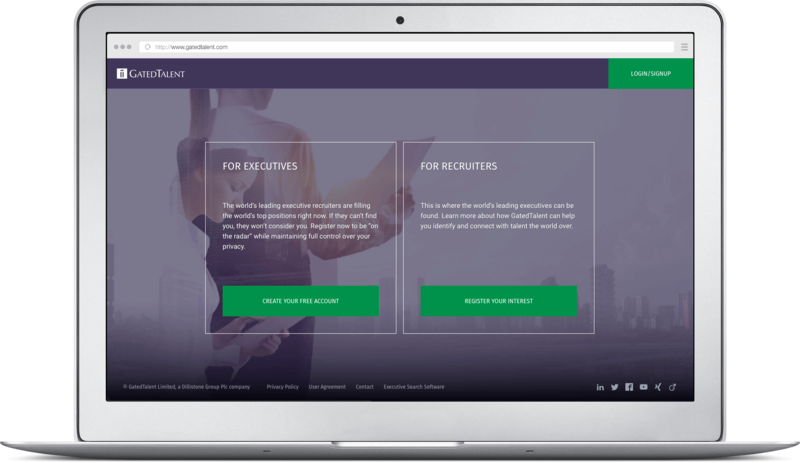 GatedTalent was established in 2017 in response to the need for a secure tool to allow individual executives to share information privately with executive recruiters. Our launch partners included a number of globally recognized search firms and executive search firms from over 30 countries.